Need professional roof repair services in the Beaverton, Oregon area? Here are some tips on obtaining the service that will best meet your needs. Tip #1: There’s a difference between roof repair and roof installation. 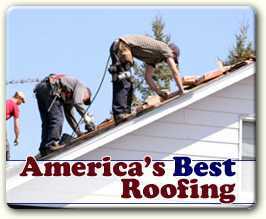 There are a number of competent, reputable roofing contractors in the Beaverton area. When you are looking for professional roof repair, however, you should be aware that just because a company offers roof installation services, it doesn’t necessarily make it the best choice for making repairs on your roof. In most cases, you will want to choose a company that expressly offers professional roof repair services. A contractor who is clearly identified as an installation and repair service is offering the skills and expertise needed for both of these services, rather than doing occasional repair jobs as a minor sideline. One possible exception to this advice is if you happen to have a very particular, unusual roof repair situation — for instance, if your roof is made with unique materials. In such a case, it may be wise to consult with a roof installation contractor who specializes in this type of construction, even if repair jobs aren’t a primary service offered. Tip #2: Take the time to research your roof repair options carefully. Your roof is an essential part of your home that is key to keeping your family and your property safe, secure and comfortable. When your roof needs repairs, you want to be sure that the job will be done correctly, efficiently and professionally, with results that look good and will hold up to the elements. You don’t want to just open the phone book or Google “roof repair + Beaverton Oregon” and then blithely choose the first name that pops up. It’s not worth the risk of having this important job done poorly just to save a little time looking into your options and making an informed decision. Tip #3: First things first — what you should check for when considering a roof repair service. When you find a likely-looking contractor (or, even better, have a short list of potential roofing services), it is relatively simple to check the business history and look into the legitimacy and reputation of each company. Next, contact the roof-repair service (by phone or email) and ask for their tax identification number. With this information, you can look up the business online, even if they don’t have a website, and it’s a good way to discover useful information about their business history and their reputation. If a company refuses to provide its tax number, it may be a red flag that there is something amiss. If possible, visit the roof repair business at its listed address. This is the surest way to make sure the company is actually located in Beaverton or a nearby area of Oregon. It also is a good way to get a feel for the professionalism and customer-service mentality of the company. 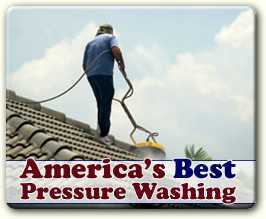 Check out more than one roof repair service if at all possible. You may find that the second or third company you check will provide the best service and price. Tip #4: Ask questions and make sure you get the answers you want. When you speak to a representative of the company, in person or on the phone, ask for pertinent information, and pay attention to whether you get good, specific answers or vague promises. What information are you looking for? Start by describing your roof-repair situation, and ask about their experience with such issues. Feel free to ask for specifics and for references. Ask about cost estimates — including materials and any fees — and whether their work is guaranteed (in writing). Ask for advice about temporary measures you can take to protect your roof and property until repairs can be made. Taking the time to carefully look into to background and legitimacy of a potential roof repair professional service is the best way to ensure that you will end up with a high-quality successfully-completed repair job. It’s worth the time and effort to protect you, your family and your property by obtaining the best service available in Beaverton, Oregon.